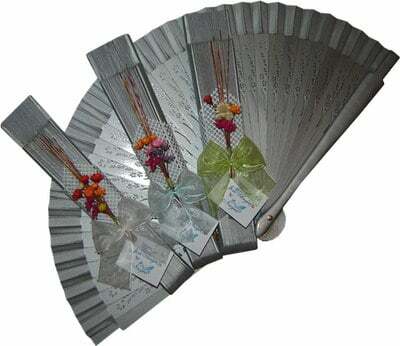 Our Silver Carved Wedding Fans are perfect for weddings and party favours. These fans are beautifully decorated with rustic fabric or white mesh, natural dried flowers and organza bows in assorted colours.Please note it is not possible to choose the colour of the bow. 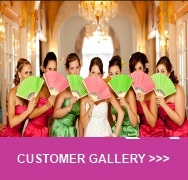 Free personalised favour cards included on order quantities of over 30 fans.